Julian “Cannonball” Adderley was in the car on the way back from this year’s Wangaratta Festival of Jazz and Blues, along with Miles Davis, Hank Jones, Sam Jones, Art Blakey and a bunch of others from the fifties. They were not wearing seatbelts. They soothed my aching ears. They oozed class and they came uncluttered — clear and simple notes flowing out as the countryside rolled past. There was power and beauty in their gentle swing, unadorned by technological enhancements. This year’s festival was a blast — but that tells only part of the story. There were full-on gigs that emulated rock concerts, shaking the foundations with pulsing, pounding beats and all manner of high-tech wizardry, and there were gigs with more subtlety, variations in intensity, more light and shade. The crowds, of course, loved to have it loud, and yelled for more. In a year exhibiting much more music technology than previously, the bands that many will remember as their highlights will be those that went for it, no holds barred, going for broke. If it sounds as if I’m complaining, it’s not that loud music or new gadgetry (its advance is inevitable) are necessarily bad, only that my preference is not to have high octane and/or high tech delivered quite so unremittingly. But that’s not necessarily a view shared by many. Final bows: From left, Shea Pierre piano and Rhodes, Kris Funn bass, Christian Scott aTunde Adjuah trumpet and reverse flugel, Logan Richardson sax, Corey Fonville drums. The full-throttle performances began on Friday at 10pm in Wangaratta Performing Arts Centre Theatre when Christian Scott aTunde Adjuah (trumpet, reverse flugel) led a quintet that unexpectedly did not include flautist Elena Pinderhughes. On piano and Rhodes Shea Pierre had joined the band only a week ago. 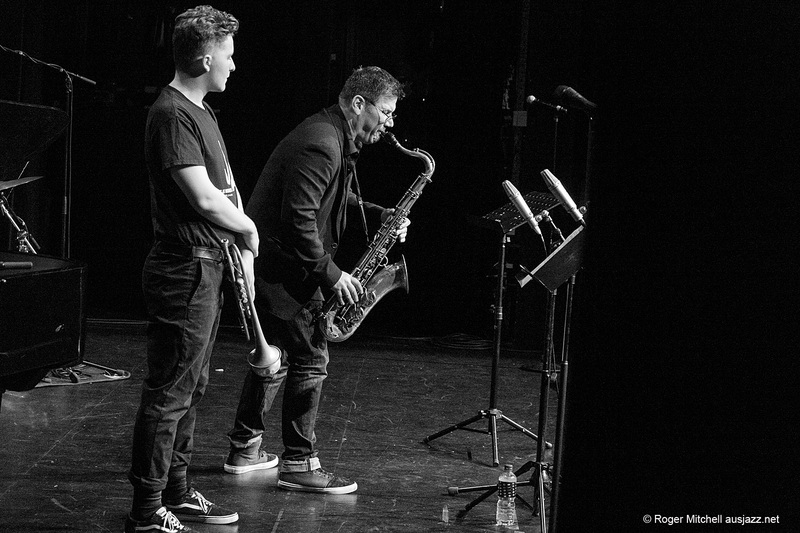 On alto saxophone Logan Richardson was a valued guest alongside long-time member and phenomenally talented bassist Kris Funn and prodigy Corey Fonville, who Scott said had prank-called him (acting as his grandmother) “every day for five years” in his campaign to join the group. In this and a subsequent outing at 10.30pm Saturday this band absolutely wowed the packed theatre in a highly amped and virtuosic display that was potentially ear damaging and yet paid homage to deep musical traditions. Scott’s great grandmother was a Cuban pianist, his grandfather a chief of the New Orleans black Indians and his uncle is saxophonist Donald Harrison jnr. Scott is eloquent with words as well as his extraordinary horns, in both concerts introducing the closing and compelling piece, The Last Chieftain, with a moving account of his grandfather’s distribution of food to people who needed it in New Orleans wards and the relevance of this example to our world now of bigotry and vulnerability. Scott paid close attention to the sound quality, his fellow musicians and then to the audience, leaving no doubt about his talent. Why it had to be almost all so high voltage and so loud is a mystery to me, but few in the audience seemed to mind. I felt for Shea Pierre on piano and keys, who seemed to be a little on the outer in this group. Another band that let loose from the word go was The Others, bringing Spiderbait’s Kram (drums) to the stage for the first time with jazz identities Paul Grabowsky (keys and electronics) and James Morrison (an array of horns). It was impossible to tell who was most excited, Grabowsky, Morrison, Kram or the audience. One audience member summed up this gig as “a collision of styles” and another as “you’ve just seen three men have orgasms on stage”. Both of those descriptions seemed not to be unfair. Whether it was Kram drumming on the floor all around Morrison and the grand piano to eventually reach Grabowsky, who was looking coolly intimidating in dark shades as he drew weird wailings and high-pitched whistles from his electronic device, or the showman Morrison possibly being outshone or even stretched a little in the company of Kram, these three delivered energy and enthusiasm in spades, leaving the audience ecstatic. Another technologically rich and amply amplified performance was delivered in two outings by Auckland-born pianist Aron Ottingnon, who now lives in Paris, leading a trio with Kuba Gudz on drums and Samuel Dubois on steel pan and percussion. Ottingnon, who was runner-up in the 1999 National Jazz Awards at Wangaratta, is engaging and exuberant as well as capable of virtuosic work at the piano keyboard, assisted by electronic effects. This trio was primarily about rhythms, effectively and gradually building intensity by subtly adjusting patterns and tempo. Gudz and Dubois, also utilising much technological wizardry, were attentive and responsive. After hearing two pieces in the Saturday night concert I was unsure whether Ottingnon’s trio was an ideal choice to end the jazz program on the Sunday, but that second outing dispelled those doubts. A small but appreciative audience attended the final festival gig. Scott Tinkler’s DRUB was also, as expected, a fiery, full-on performance that was utterly engrossing, but I dropped in only long enough to clear the cobwebs from my brain between two very different concerts. It was an effective palate cleanser. As mentioned earlier, the festival as a blast was far from the whole story. Fans of New Orleans piano styles had a treat in WPAC Theatre on Friday at a time usually reserved for a major jazz attraction, as UK-born Jon Cleary took us on a journey from Jelly Roll Morton to Fats Domino. Mike Nock at work during the Monash sessions. Felix Meredith on trumpet, Rob Burke on tenor during the Monash sessions. Mike Nock and Tony Gould at the end of the Monash sessions. Paul Williamson trumpet, Jonathan Cooper tenor sax and Josh Bennier on trombone during the Monash sessions. 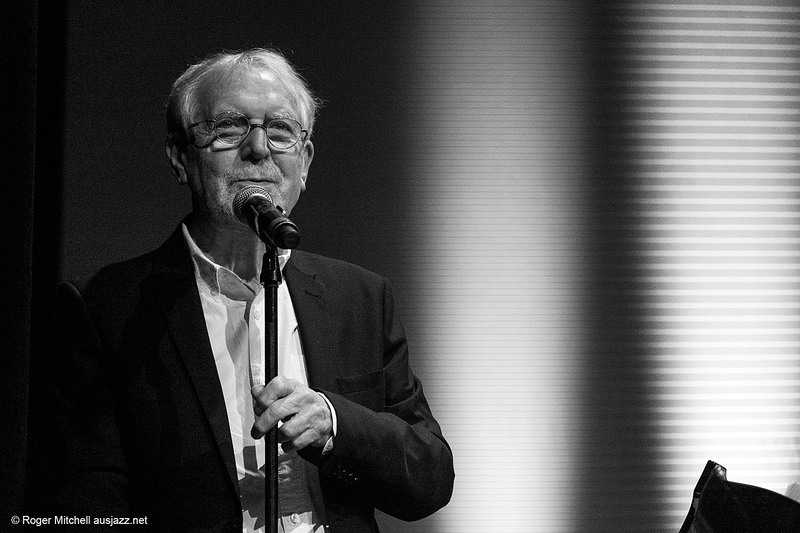 Tony Gould waxes lyrical during the Monash sessions. 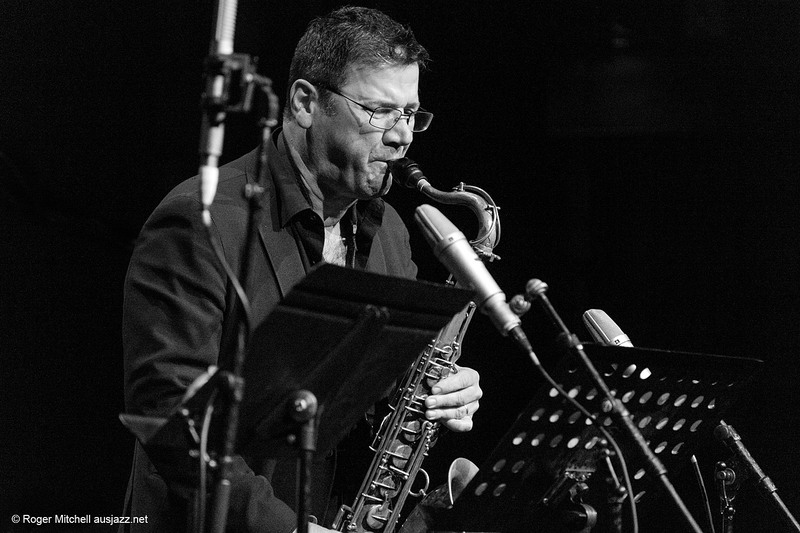 Rob Burke on tenor sax during the Monash sessions. Melanie Taylor, vocals, during the Monash sessions. Conor Anderson-Vague on drums during the Monash sessions. 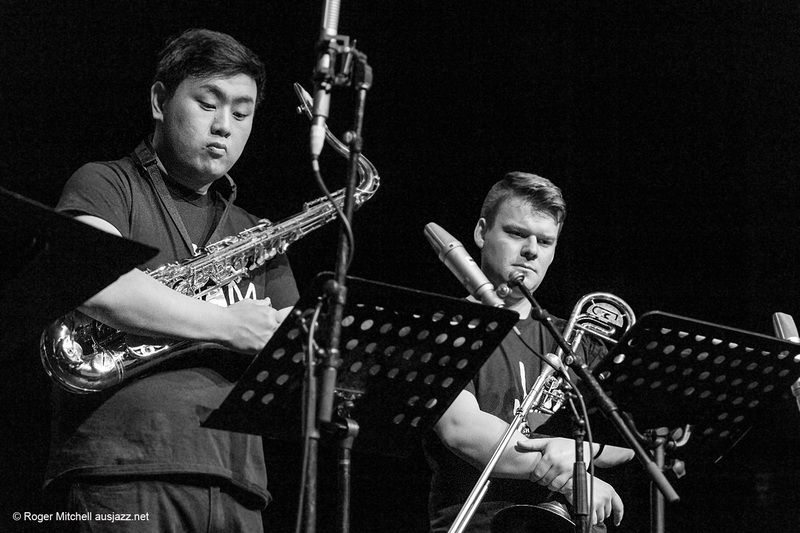 Andre Lew on tenor sax, Josh Bennier on ‘bone in the Monash sessions. Felix Meredith on trumpet, Rob Burke tenor sax during the Monash sessions. Josh Bennier on trombone during the Monash sessions. Tony Gould at the piano during the Monash sessions. 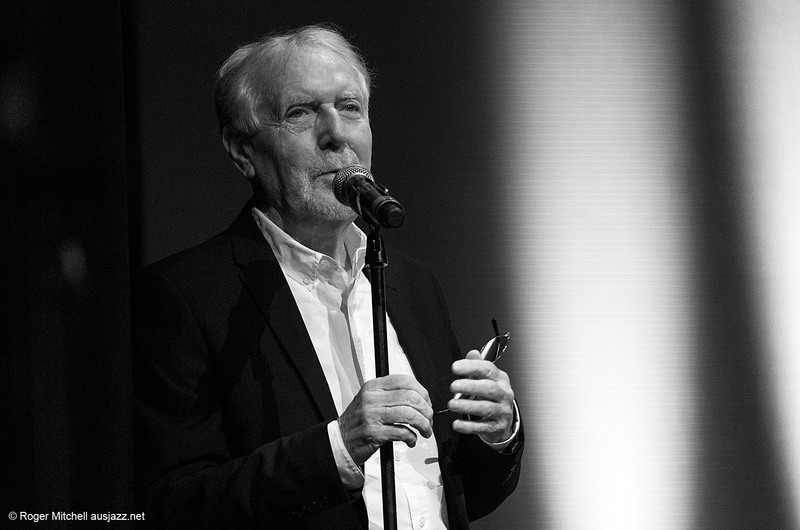 Tony Gould at the mic during the Monash sessions. Josh Bennier on ‘bone in the Monash sessions. 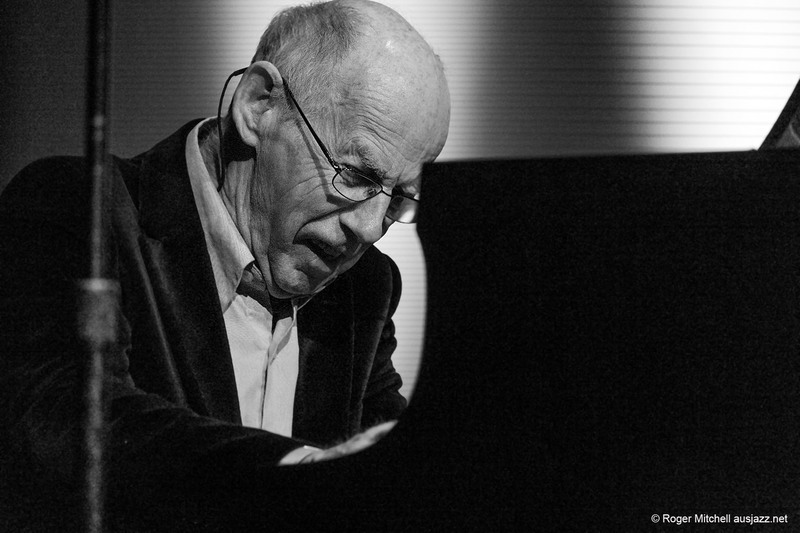 But I was still feeling the warm glow of other vibes, in particular from vocalist Melanie Taylor’s clear and moving rendition of Somewhere Called Home, performed with Tony Gould on piano during the festival’s opening Monash Sessions concert at 6pm in WPAC Theatre. Student musicians, along with Gould, Mike Nock, Paul Williamson (trumpet) and Rob Burke delivered a thoroughly engaging start to Wangaratta 2017 — I left on a high. That mood continued at 7.30pm when the Kari Ikonen Trio (Finland) delivered the first of two demonstrations of how powerful music can be when carefully crafted, constantly varied and given lots of space. I had to leave that concert early, but heard all of the 11am Saturday outing by Kari Ikonen on piano, Olli Rantala on double bass and Markku Ounaskari on drums. At that early hour a good crowd was treated to gentle humour, shifts in dynamics, rich timbres of piano strings strummed, brooding bowed bass and deftly minimal drum work. The levels of intensity varied, the piano notes were at times icy or crystalline and at others verging on guttural. That was a definite highlight, but Sunday took me to another level at 11am in WPAC Theatre when Phil Slater on trumpet joined Simon Barker on drums, Matt McMahon on piano, Matt Keegan on sax, and Brett Hirst on bass to premiere new works. From Slater’s breathy, opening horn notes it was evident we were to hear something special. His solemn input began what slowly built into a mesmerising set of might and beauty, peppered in places with musings, nibbles, short runs and bright shards of sound from the horn. These were works of immense power, with no need of electronics or special effects and no need for sustained full-throttle playing. Yet this seamless, organically cohesive music sustained interest throughout. Sprinklings of rhythm from Barker, McMahon and Hirst perfectly complemented the work of Keegan and Slater. This was a deeply moving concert. Two hours later an octet led by bassist Jonathan Zwartz brought Slater back to that stage among a talented bunch of “feckless rascals” who delivered melodically rich compositions by Swartz from a soon-to-be-released album. Again this was a band of luminaries — Barney McAll piano, Hamish Stuart drums, Julien Wilson tenor sax, Phil Slater trumpet, James Greening trombone, Fabian Hevia percussion and Steve Magnusson guitar. They served up a rich feast of exuberant and deeply affecting music spiced with much humour. McAll’s subtle input towards the end of the newly dubbed Julien Wilson’s Song of Love was spot-on. In what became a Sunday brimming with local musicianship of the highest order, bassist Sam Anning gathered the impressive line-up of Andrea Keller piano, Mat Jodrell trumpet and flugel, Carl Mackey alto sax, Julien Wilson tenor sax and Danny Fischer drums to play his beautiful compositions with warmth and vitality. I love a well bent trumpet note and Jodrell does that well. Anning also featured in saxophonist Angela Davis’s Quartet in St Pat’s Hall at noon Sunday, the close-knit ensemble delivering some appealingly gentle swing. A change in scheduling may have meant some missed the adventurous and awesome originals played by a young Melbourne quartet. Formed in mid 2015, this band comprising bassist Isaac Gunnoo, drummer Maddison Carter and siblings Flora Carbo (saxophone) and Theo Carbo (guitar) is worth keeping an eye on. They’ll go far. Expatriate Australian horn player Nadje Noordhuis now living in New York chose Theo Carbo to join her hand-picked band, along with James Shipp (USA) on synthesisers and percussion, Gian Slater on vocals and Chris Hale on bass, playing her compositions written for this festival gig. There were hints of nostalgia in these pieces, which celebrated Noordhuis’s luxuriantly rich tones on trumpet and flugelhorn in a performance to sink into. Slater’s vocals were tailored to match the mood, which never ventured into edgy. The mood was less predictable when Noordhuis reunited with festival programming team member Adam Simmons and French guitarist Philippe Guidat — all three had been thrown together in a Music Omi Artist Residency in upstate New York in 2007 — to form a disparate sextet with French percussionist Pascal Rollando, James Shipp (vibes/percussion) and Chris Hale (bass). Plenty of humour was added to the mix in this delightful outing, especially in an impromptu instrumental battle between Shipp and Simmons. This recipe — mix a few varied musicians and stir — worked a treat. Other line-ups that worked well were a trio not often enough heard comprising Nick Haywood on bass with Colin Hopkins piano and Niko Schauble on drums, and Antelodic — featuring the unusual combination of Robbie Melville on guitar with two saxophonists, Gideon Brazil on tenor and Monty Mackenzie on alto sax and clarinet. 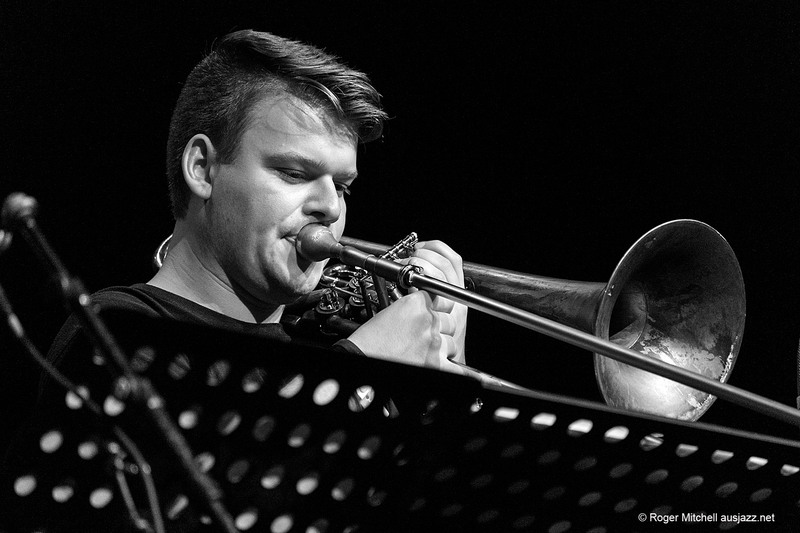 In the National Jazz Awards finals, the hard-working judges — Nadje Noordhuis, Scott Tinkler and trombonist Adrian Sherriff — awarded the honours as follows: 1st James Macaulay, 29, trombone, Victoria; 2nd Niran Dasika, 23, trumpet, Victoria; and 3rd Thomas Avgenicos, 21, trumpet, NSW. As is always the case, the finals performances attracted a large audience to hear quality performances. The backing band of Tom O’Halloran piano, Brendan Clarke bass and Ben Vanderwal drums also deserves high praise. One standout artist at this festival deserves a separate post — partly because of the impact of her performances and partly because it was far from what you’d expect to find in a jazz festival program. Multilingual vocalist, composer, producer, multi-instrumentalist and dancer Jen Shyu gave two concerts — one in Holy Trinity Cathedral on Saturday in a duo with Simon Barker, and another on Sunday in WPAC Theatre with Barker, James Shipp on vibraphone and Veronique Serret on six-string violin. Her compelling out-of-left-field expositions of drama, theatre, dance and expressively virtuosic vocals were engrossing, shocking, funny, moving, confronting and often puzzling. It was a visual feast as even the simplest moves — such as picking up or putting down an instrument — were imbued with grace and poise. Shyu sang and spoke in seven languages and played piano, violin, moon lute and percussion. It is impossible to be at all festival gigs. I regret having missed Barney McAll’s ASIO, Cleverhorse, Slipper, Gian Slater with McAll and Barker, Guidat/Rollando in duo, Digital Seed, Mike Nock’s solo piano, Nick Tsiavos’s Liminal, Lo-Res, Zac Hurren, Katie Noonan and Karin Shaupp. Origami’s Wu-Xing – The Five Elements was just beginning as I left, so I hope that will be staged again soon. To sum up, Wangaratta Festival of Jazz and Blues 2017 offered the high-tech and high-volume outings that many will have loved, but I was happiest — and very satisfied indeed — to have heard many concerts in which loud and proud was less important than exquisitely varied. PS: There were a few niggles — program inconsistencies, line-ups missing on the festival app, gigs starting late, overly pushy security guards at the Pinsent — but these can wait. PPS: More images will be added later. PPPS: If you read this far, accept a gold star and free access to a DRUB recording session (no ear plugs provided). The 28th Wangaratta Festival of Jazz & Blues will be the first without Adrian Jackson at the helm as artistic director. Instead, the programming team consists of Adam Simmons and Zoe Hauptmann for jazz, and Scott Solimo and Frank Davidson for blues. This change led to some understandable concern on the part of regular patrons over the direction that this renowned festival may take, many worrying about whether efforts to overcome budget challenges by widening audience appeal would dilute the core elements in programming of jazz and blues. The result no doubt will be closely scrutinised. It will also, I’m convinced, be thoroughly enjoyed. 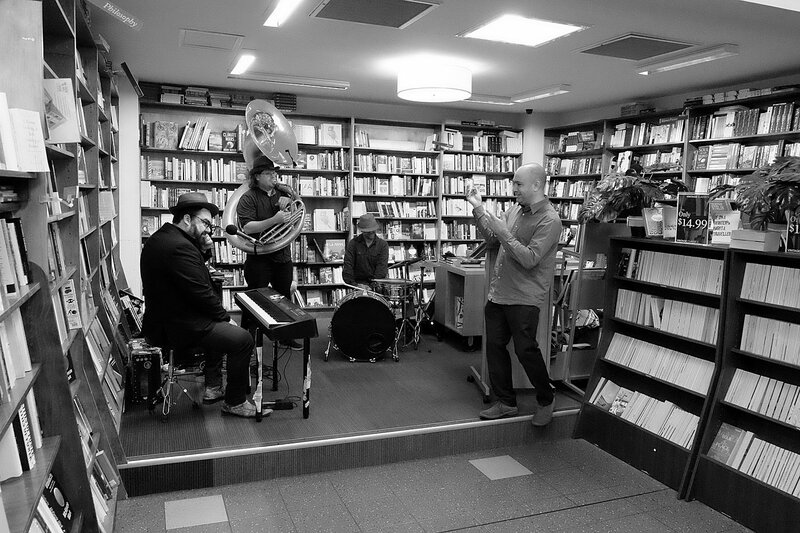 Adam Simmons introduces the Pugsley Buzzard Trio in Readings book shop at the Melbourne launch of Wangaratta Festival of Jazz & Blues 2017. A detailed dig into this year’s jazz (leaving the blues gigs to others) reveals plenty to get excited about — so much, in fact, that it will be hard to fit in breaks for meals or even coffee breaks in a jam-packed program. Don’t forget to download the festival app so you can plan ahead. Has the festival taken a new direction? Will hard-core jazz fans be satisfied? Is there enough straight-ahead jazz? Are there sufficient “out there” gigs? Is the gender balance improving? Are there enough vocalists? Will the punters turn up? Judgments will be made on these and myriad other questions once the music begins, but unquestionably there is heaps of it on offer. Overseas artists in the mix include Kari Ikonen Trio (Finland), Jon Cleary (US), Christian Scott and his sextet (US), Jen Shyu (US), James Shipp (US), Pascal Rollando and Philippe Guidat (France), and Aron Ottingnon Band (France), plus expatriate Australian Nadje Noordhuis on a visit from New York. There are many intriguing and alluring combinations, such as Jen Shyu with Simon Barker, Spiderbait’s Kram with James Morrison and Paul Grabowsky, Origami with Wang Zheng Ting, Digital Seed, and a gathering of old and new friends in Guidat/Rollando/Noordhuis/Shipp/Simmons/Hale. How great is it that pianist O’Connor has made it as a semi-finalist on ‘bone? Friday night’s line-up will give hard-core patrons a chance to flex their concert-going muscles for the succeeding onslaughts on the next two days. 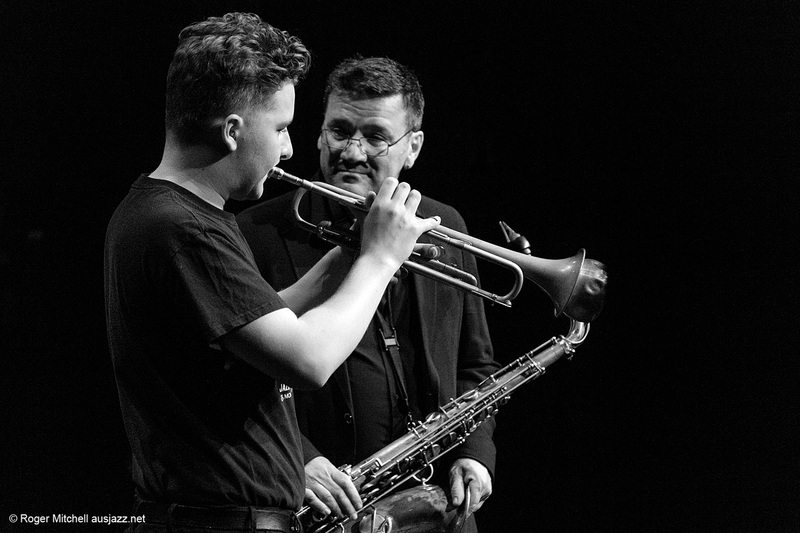 Ease your way in at 6pm in WPAC Hall by joining Tony Gould, Mike Nock, Paul Williamson (on trumpet) and university students for the Monash Sessions. 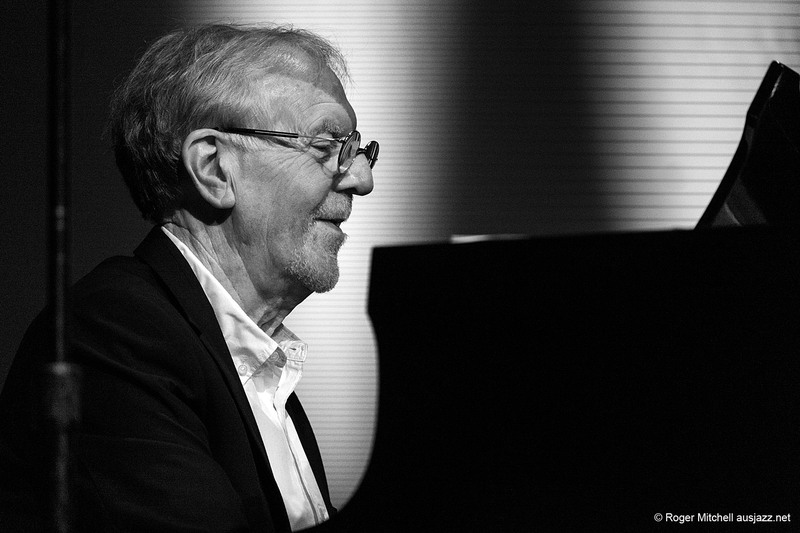 Then, at 7.30pm in WPAC Theatre there’ll be a welcome infusion of Scandinavian improvisation from Finland’s Kari Ikonen on piano, Olli Rantala on double bass, and Markku Ounaskari on drums. Expect many hues, innovative harmonies, strong melodies and striking rhythms, all played with lots of joy and passion. New Orleans makes its presence felt in two concerts on Friday evening. At 8pm Jon Cleary will bring blues into the WPAC Theatre as he demonstrates his prowess at the piano emulating the likes of Tuts Washington, James Booker and Professor Longhair — the greats he found in his adopted home of New Orleans after migrating from Kent in 1980. At 10pm in that venue the strong New Orleans musical pedigree of Christian Scott will shine through as he demonstrates his trademark “whisper technique”, using warm air, which he perfected by emulating his mother’s singing voice. In WPAC Hall earlier, at 9.30pm, My Name Is Nobody will feature Lucky Oceans, Ben Vanderwal and Tom O’Halloran in a set offering lush, cinematic and ambient sounds along with “a sonic break from a complicated, noisy world”. Bring it on. Paul Williamson’s Hammond Combo will be at the Pinsent Hotel until midnight. Saturday, of course, will be another kettle of fish, with music beginning at 10.30am (National Jazz Awards, WPAC Hall) and running through until 1.30am Sunday (Jam session with Virus, Pinsent Hotel). Be prepared for some full-on, head-to-head clashes — these are not merely overlapping concerts, so you’ll have some hard choices. 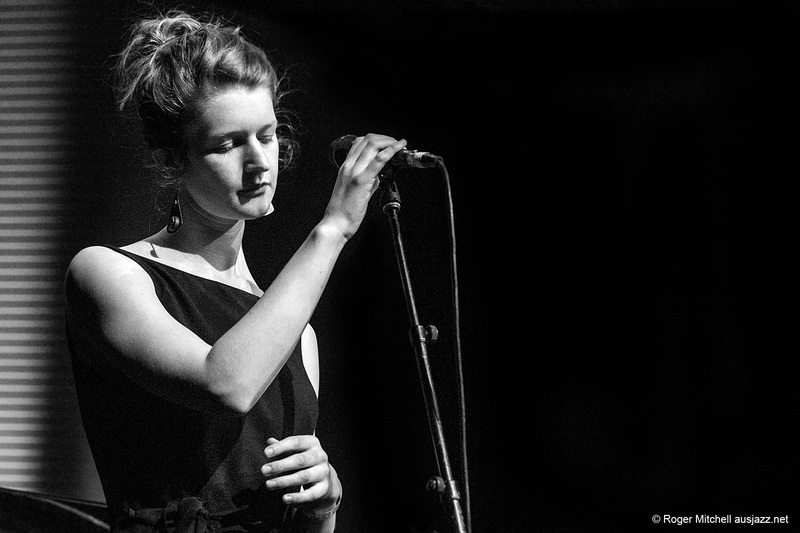 Kari Ikonen Trio begins at 11am in WPAC Theatre for those who missed it or loved it on Friday. But at noon Nick Haywood Trio (St Pat’s Hall) is up against Mike Nock’s solo e-coustic set (Holy Trinity Cathedral). Barney McAll’s much-loved ASIO are sure to be in Hi-Vis at 1pm in WPAC Theatre. Expect much talent and humour. Then comes a seriously upsetting clash at 2pm. Experimental vocalist, dancer and multi-instrumentalist Jen Shyu will join the intense and brilliant Simon Barker at Holy Trinity — this has to be a highlight — while guitarist Robbie Melville’s five-piece, two-saxy ensemble plus visuals delivers inviting, eclectic contrasts in WPAC Hall as Cleverhorse. As if that choice isn’t tough enough, St Pat’s Hall features sextet Slipper, with Gemma Horbury on trumpet and Belinda Woods on flute, playing bassist Alastair Watts compositions. It’s all on from 2pm to 3pm. 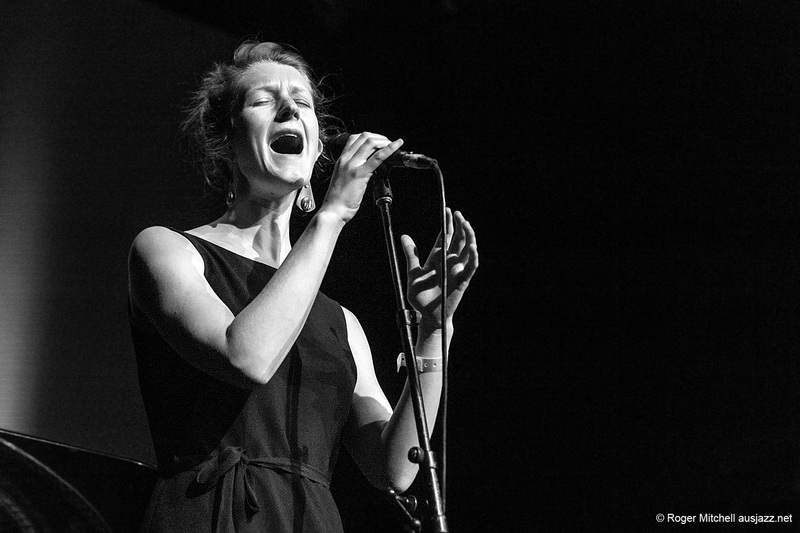 There’s no clash at 3pm when Nadje Noordhuis reunites with James Shipp (vibes), Gian Slater (vocals) and Chris Hale (bass), joined by young guitarist Theo Carbo (not to be missed) in a WPAC Theatre concert backed by Martin Jackson’s Melbourne Jazz Co-operative. But at 4pm the clashes are back. Choose Robbie Melville with reedsmen Gideon Brazil and Monty Mackenzie for “chamber jazz and contemporary classical” as Antelodic at Holy Trinity, or the muscular DRUB (Scott Tinkler, Simon Barker, Philip Rex, Carl Dewhurst). That’s a real tough one. Blues and boogie woogie pianist Bridie King is the third option at this time slot, in St Pat’s Hall. There’s time for a quick bite now — must keep the energy levels up — before bassist Nick Tsiavos and his Liminal ensemble bring us brilliant discordance as the ancient becomes modern in a hypnotic synthesis of new minimalism (6pm, Holy Trinity). Many may stay at this, but others will be lured away to WPAC Theatre by 6.30pm, intrigued by the spectacle of Spiderbait’s Kram joining James Morrison and Paul Grabowsky. Anything could happen. If you love Hammond organ — and who doesn’t if Tim Neal is at the keyboards — Jim Kelly’s Thrillseekers will perform at St Pat’s Hall at 7.15pm. 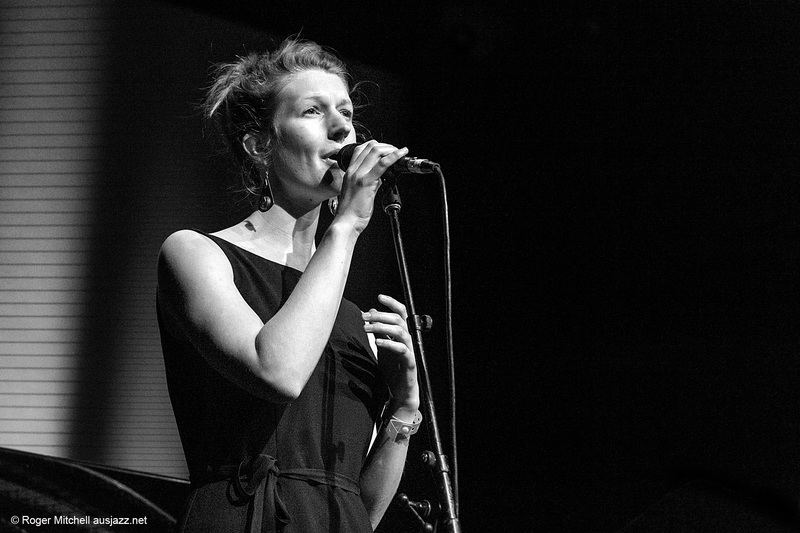 And in WPAC Hall at 8pm Digital Seed includes last year’s National Jazz Awards winner Mike Rivett in a sextet that includes Matilda Abraham on vocals and utilises electronics and synthesisers. New Zealand-born pianist Aron Ottignon, now a Parisian, has a fantasy in which each of his fingertips is a drumstick. He joins Samuel Dubois on steel pan and Kuba Gudz on drums in WPAC Theatre at 8.30pm, producing music that “combines the ambition of jazz with pop melodies, echoes of world music and electronic effects”. 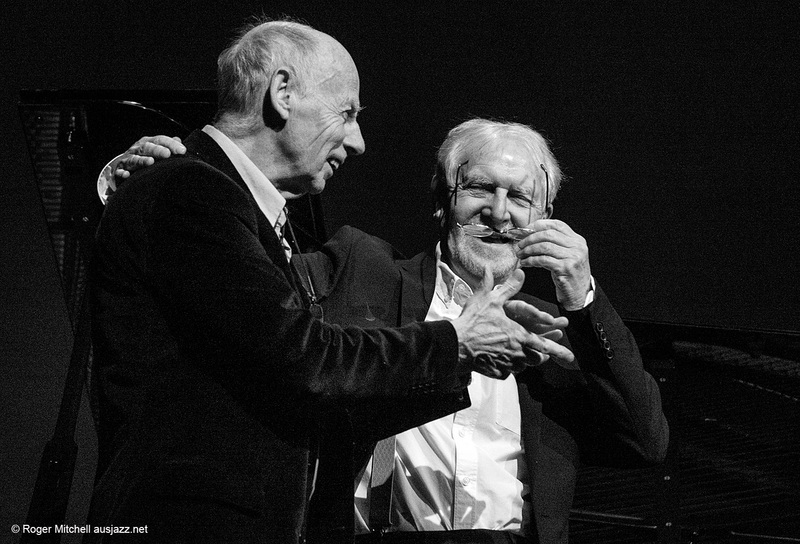 This trio will also close the festival — jam session aside — so this is a chance to decide whether it’s your cup of tea. Virus will draw some patrons off to the Pinsent at 9pm. 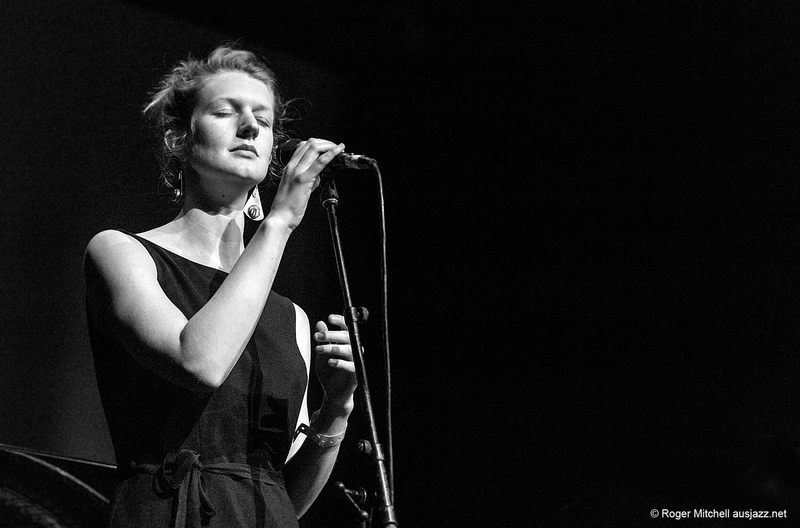 But at 9.15pm in St Pat’s Hall Philippe Guidat (guitar) and Nadje Noordhuis (trumpet), who met at an upstate New York Music Omi Artist Residency when Adam Simmons (woodwinds) was guest mentor, will join Pascal Rollando (percussion), James Shipp (vibes/percussion) and Chris Hale (bass). I reckon this could go in a few directions, all of them with great promise and possibly a little humour. This festival has many not-so-hidden gems. One is DRUB (already mentioned) and another is the 10pm WPAC Hall encounter between Gian Slater, Barney McAll and Simon Barker. But many will be drawn away to WPAC Theatre at 10pm to hear more of Christian Scott, along with extraordinary flautist Elena Pinderhughes, Shea Pierre on piano and Rhodes, Kris Funn on bass, Corey Fonville on drums and Logan Richardson on sax. Pinsent Hotel jam session anyone? As mentioned, there is a lot of music on offer at this festival. And Sunday is another day. Day 3 will separate the sheep from the goats, the climate change deniers from the realists. This is when serious patrons awake, stretch, inhale deeply and head for double shots of coffee before another full day, and night, of live music. Keep in mind that it’s the musicians who are doing the heavy lifting here. If you’re extra keen be at Holy Trinity at 10am for Bridie King & Gospel Belles. Brass fans will be in WPAC Hall for the National Jazz Awards playoffs from 10.30am, picking their three finalists before the judges get a say. There are seriously great musicians at work in Wangaratta on Sunday, many of them home-grown artists. After ensuring my hair is suitably coiffed I’ll be in WPAC Theatre with bells on at 11am to hear the Phil Slater Quintet play new compositions (how could anyone pass up Simon Barker, Matt McMahon, Matt Keegan, Brett Hirst?) and in St Pat’s Hall at noon for the Angela Davis Quartet. 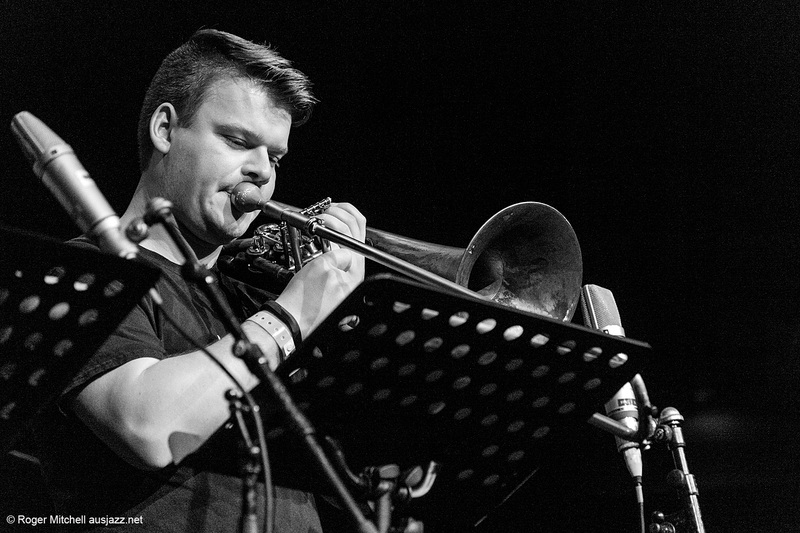 The talent just keeps coming at 1pm in WPAC Theatre when bassist Jonathan Swartz is joined by Barney McAll piano, Hamish Stuart drums, Julien Wilson sax, Phil Slater trumpet, James Greening trombone, Fabian Hevia percussion and Steve Magnusson guitar. And at 1.30pm multi-instrumentalist Adrian Sheriff may be weaving his magic at Holy Trinity, but there are no details on the festival website. 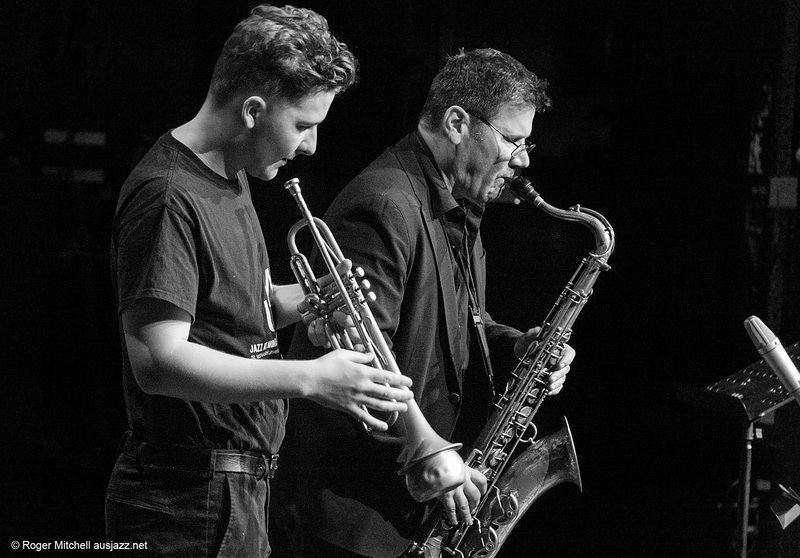 At 2pm don’t miss a chance to look into the future in St Pat’s Hall when bassist Isaac Gunnoo, drummer Maddison Carter and siblings Flora (saxophone) and Theo Carbo (guitar) demonstrate the talent on the scene from younger jazz musicians. And for a hit of vocals — there are not so many singers this year — Matilda Abraham will bring vulnerability and warmth to WPAC Hall at 2.30pm. It’s relentless — wall to wall music with overlaps. At 3pm composer and bassist extraordinaire Sam Anning brings a feast of musicians to the WPAC Theatre stage: Andrea Keller piano, Mat Jodrell trumpet, Carl Mackey sax, Julien Wilson sax and Danny Fischer drums. In Holy Trinity Cathedral from 3.30pm James Shipp on vibes and Nadje Noordhuis on trumpet will celebrate the release of their Indigo album with help from Theo Carbo, Chris Hale and Gian Slater. And at 4pm in St Pat’s Hall, Belinda Woods on flutes will present compositional elements ranging from free improvisation to highly intricate structural forms in a sextet. Tension is mounting at this point as the NJA finalists prepare to do battle at 5pm in WPAC Theatre, but If you have not yet caught a glimpse of Adam Simmons as performer rather than program team member, here’s your chance. From 4.30pm in WPAC Hall, Origami will present “Wu-Xing – The Five Elements” a new work by Adam inspired by the Ancient Chinese elements Wood (木 mù), Fire (火 huǒ), Earth (土 tǔ), Metal (金 jīn), and Water (水 shuǐ). This will feature Simmons on alto sax and bass clarinet, Howard Cairns on bass, Hugh Harvey on drums and Wang Zheng-Ting on sheng (Chinese mouth organ). It is a great pity this overlaps with the the NJA finals. Let’s hope it is performed elsewhere soon. Around about 6pm there will be a NJA winner, so it’s time for a shot or three of coffee before Virus begins in St Pat’s Hall, followed at 7pm in WPAC Hall by Philippe Guidat on guitar and Pascal Rollando on percussion, who will draw on flamenco, Andalusian and Arabic music, Indian music in an acoustic set. 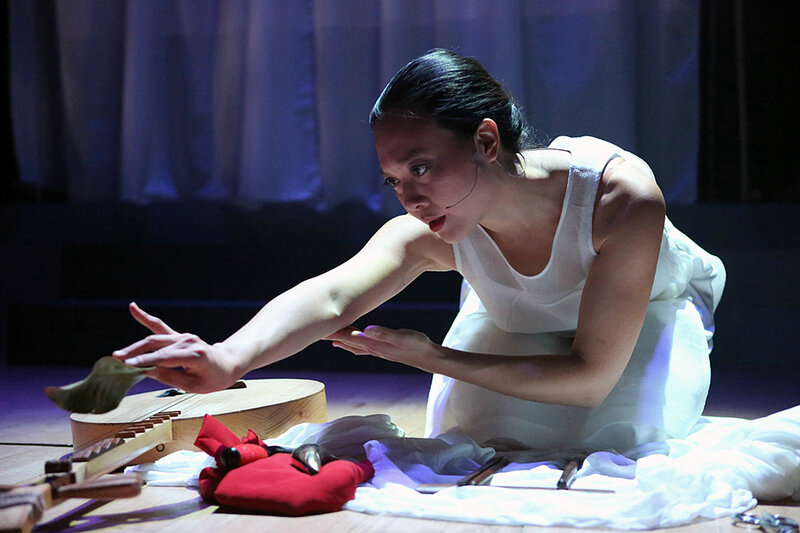 Then, at 8pm in WPAC Theatre, prepare to be mesmerised as multilingual vocalist, composer, producer, multi-instrumentalist and dancer Jen Shyu (US) opens her performance of Jade Tongue with Mother Cow’s Companion, one of three traditional folk songs in this work. She will be accompanied by Simon Barker drums, James Shipp vibraphone and Veronique Serret six-string violin for this outing, which is certain to be arresting. In St Pat’s Hall Zac Hurren will be firing on all keys in a trio format from 8.30pm if you need an energy boost. 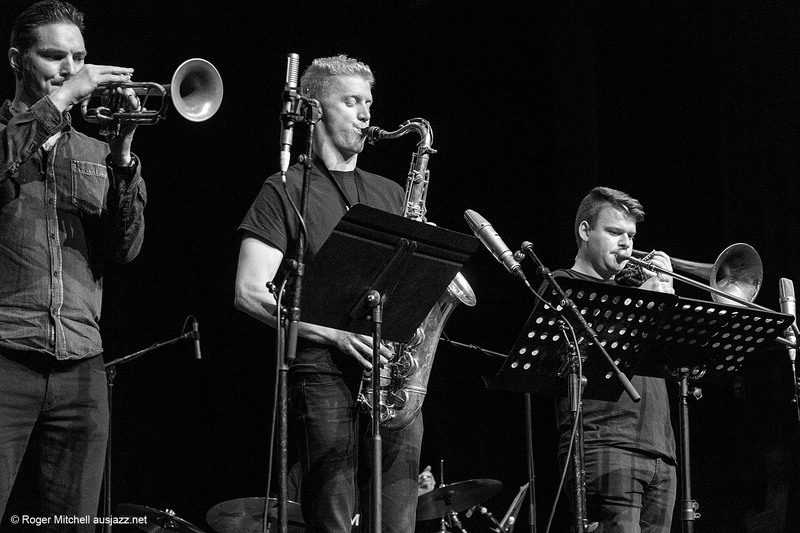 At 9pm in WPAC Hall Lucky Oceans will head a quintet with Paul Williamson sax, Nick Haywood bass, Claire Anne Taylor voice and Konrad Park drums. 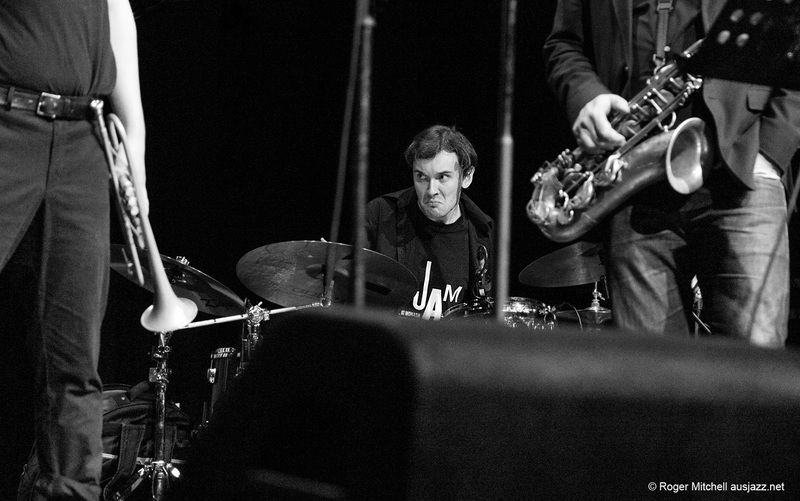 The final WPAC Theatre gig at 10pm will be the Aron Ottingon Trio, but if you are still firing on all cylinders and brim full of the buzz, the annual jam session at the Pinsent Hotel will be the place to put this Wang festival to bed. You can relax and savour the memories — all that hard listening has paid off.